PSR Classes are Sunday & Monday Evenings, starting September 7th 2019. When it comes to inspiring your family in faith, you want to start early. 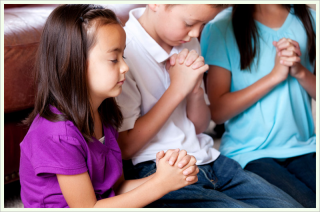 A strong religious education can help build a strong center for your child and help them grow to be strong adults in Christ. To become involved in our youth & family program, please contact our office below. If you’d like to learn more about the Catholic Faith, or if as a non-Catholic you would like to enter the Church, we invite you to take a closer look at our Faith. Sessions will be held beginning in September. Meet fellow Christians who love the Lord and seek to grow deeper in faith and fellowship. It will be a privilege to get to know you. In these sessions we will share the truths of the Catholic faith--come with any questions you may have. If you were baptized as a Catholic, but did not receive your sacraments of First Communion and/or Confirmation, you also can be a part of the RCIA process to complete your sacraments.